Michael McFadyen's Scuba Diving - MV Macdhui In December 1862 James and John Burns arrived in Brisbane, Australia. In 1865 they started a shop in the Gympie goldfields and within 10 years they had moved to Townsville and started a shipping service to Brisbane and Sydney. In 1876 they set up an office in Sydney and in 1883 Burns, Philp and Company was started (no idea who Philp was yet). Soon, the new company was running various merchant operations and shipping right across the western Pacific Ocean. Burns, Philp became the most famous company in the Pacific area. As well as running all the major shipping routes between Australia and its neighbours, it also ran a huge network of integrated industries, shops and hardware for example. I remember seeing a Burns Philp store in Port Vila, Vanuatu, in the 1980s (note sure when they disappeared). It also owned at one time the ship Star of Russia which is now wrecked in Port Vila Harbour in Vanuatu. Burns Philp went out of existence on 20 December 2006 when all its shares were purchased by Rank Group Australia Pty Ltd. A terrible end to a one time brilliant Australian company. In February 1929 Burns Philp Company came to an agreement for a five year mail contract for the Pacific Islands with the Australian Government. This took effect in April 1929. As part of the agreement, the company agreed to build a new vessel for the Singapore run within three years and planned to move the MV Malabar to the Sydney to Rabaul (in then New Guinea) run. In addition, they decided to replace the SS Marsina, a 1905 vintage triple expansion steam engine powered ship of only 1,932 tons. However, before this new vessel came into service on May 1931, an accident to the Malabar would change the company's plans. On 2 April 1931, the MV Malabar ran aground in Sydney's Long Bay and was totally destroyed. The Sydney Morning Herald of 14 March 1930 carried the news that Burns Philp had signed an agreement to build a new ship with Barclay, Curle and Company Limited of Whiteinch, Glasgow, Scotland. The new ship was Yard No 644 and on 23 December 1930, the MV Macdhui was launched at the Clyde River shipyards of Barclay, Curle and Company, Scotstoun, Glasgow. Like virtually all the ships built for the Burns Philp fleet, the new vessel was given a name starting with M and containing 7 letters (Malabar, Morinda for example). Presumably the ship was named after the Scottish mountain, Ben Macdhui, perhaps where James Burns came from. Miss Margaret Burns, daughter of the Burns, Philp Chairman, James Burns, swung the bottle of champagne to send the ship sliding down the slipway. 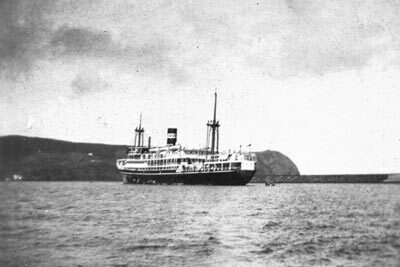 The new ship was, like the unfortunate MV Malabar, a motor vessel rather than a steamship. She was 113.6 metres long and 17 metres wide, a little shorter than the Malabar but wider. It displaced 4,561 tons (about the same) and was powered by a four-stroke diesel engine of 4,710 hp built by John Kincaid and Company Limited of Greenock, just north-west of Glasgow. The engine was an eight cylinder Kincaid-Harland-Burmeister and Wain single acting four stoke diesel engine. Working at 106.5 rpm, the engine gave the ship a top speed of 15 knots and a cruising speed of 14 knots. This was slightly faster than the Malabar. A total of 456 tons of fuel oil could be carried, about 30% less than the Malabar. Like the Malabar, the Macdhui had an auxiliary exhaust gas boiler, although it appears to have been a little different. While the Malabar boiler drove a steam engine which provided electricity, the Macdhui's did not. The Macdhui had a Clarkson boiler driven by the exhaust gas but I am not sure if it was part of the funnel like the Malabar. The other boiler was a Cochran oil fired boiler. This was only used when the main engine exhaust was not available (normally in port). The steam was used for heating, cooking and other purposes. The ship also had four three cylinder Allen auxiliary generating units. The new ship was built under the supervision of Mr W. G. R. Snellgrove, the Superintendent Engineer of Burns Philp. As you can tell from the above, the Macdhui was a modified version of the Malabar which was the second diesel powered ship in Australia (built 1925). There were three decks along the whole of the ship, with the bridge and boat decks above. There were five cargo holds, two behind the engine and three ahead. A total of 15 derricks on two masts, with 10 winches (and perhaps two additional 20 ton derricks) loaded and unloaded cargo. Some of the cargos space was insulated for carriage of frozen meat and cooled fruit. The ship carried 138 passengers in two, three and four-berth cabins. The public rooms were said to be roomy. The dining room could hold all of the ship's passengers in one sitting. There was also a music room, smoking room (oak panelled) and a large deck area that was said to be able to cater for a game of cricket. The ship was not air conditioned but had a ventilation system that changed the air 18 times an hour in cabins and 40 times an hour in the public rooms. The between decks of the stern carried "natives between interisland ports". I have no idea how many people were able to be carried here but it included "isolated promenade spaces and culinary arrangements". After launching, the Macdhui carried out speed and endurance trials on the Firth of Clyde on 9 March 1931. Of interest, while on the trials, the ship received a radio message from Sydney, the longest such transmission ever successful to that date. The ship was originally painted black but I have read that it was repainted white before leaving Glasgow. This is not correct as the attached photographs taken on the maiden voyage from Glasgow to Sydney show it was black. It was obviously repainted at some time as the last photograph here shows it on Sydney Harbour and it is white. The ship collected a cargo of coal (I suppose to help pay for the delivery voyage) and on 16 March 1931, the Macdhui left Glasgow bound for Sydney. In command was Captain E. J. Hillman with Mr A. Campbell Chief Officer and Mr R. L. Waddell Chief Engineer. Captain Hillman had been on holidays in Britain and the other two officers were formerly on the Malabar. On the ship was Reginald W. Bagnall and he took the two photographs on this site taken on the maiden voyage. The first port of call was Fayal in the Azores. Mr Bagnall wrote on the photos "note paintwork damaged by heavy seas" so it appears that they encountered heavy seas in the first part of the journey. From The Azores the Macdhui went to Kingston, Jamaica. The Atlantic was rough but the ship handled it well. At Kingston, the engine was examined (since it was still being run in) and everything was found to be okay. From here the ship went through the Panama Canal and soon after leaving there, a radio signal was received advising that the MV Malabar had been destroyed when she hit the rocks of Long Bay, Sydney. 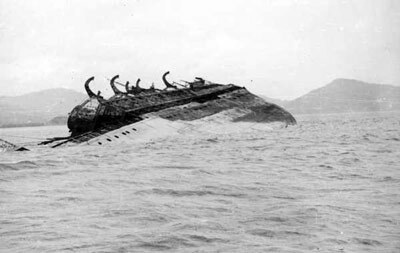 See the Malabar page for information about this sinking. 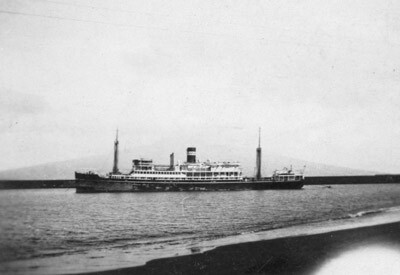 From Panama, the ship sailed to Suva, Fiji, arriving 24 April 1931 where the cargo of coal was unloaded. The Macdhui continued on to Sydney arriving Sunday 3 May 1931. She berthed at 10 Walsh Bay. Average speed on the voyage varied between 13 and 14 knots. 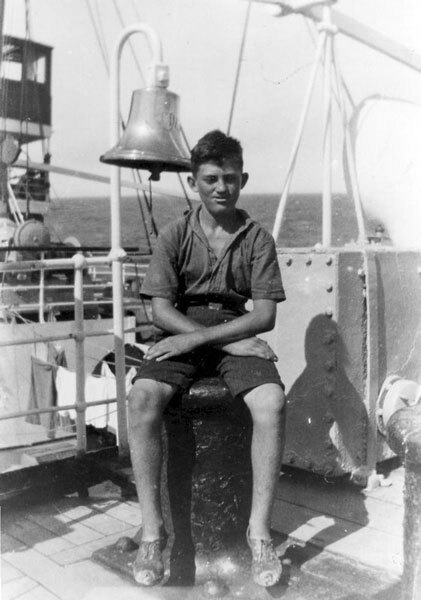 Captain G. E. Williams, former skipper of the SS Montoro, was appointed skipper of the Macdhui. Mr Waddell stayed on as Chief Engineer. 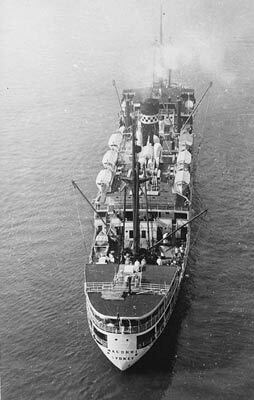 The new vessel commenced work between Sydney, Papua and New Guinea in May 1931, with her maiden voyage from Australia commencing on 16 May 1931. She had a full passenger list for this trip. Ports on this voyage were Brisbane, Samarai, Rabaul, Kavieng, Manus Island, Tumleo, Seleo, Madang, Finschafen, Salamaua and Lindenhafen before the ship arrived in Port Moresby. In Rabaul, there were celebrations for the new ship's arrival and on 26 Mary 1931, local residents were invited on board for a dance and supper on board. The ship arrived back in Sydney on 14 June 1931. 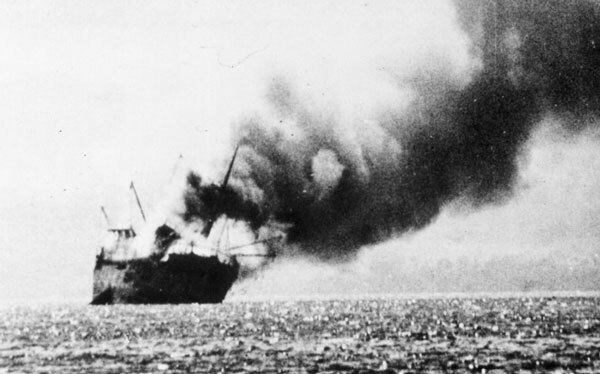 During the Seamen's Strike, on Wednesday 28 October 1931, the strikers attempted to get the Macdhui's crew to also strike. However, they argued that they were an Interstate vessel and so exempt from the strike. The strikers abused the crew as they , with Police required to prevent violence. The ship sailed two hours late. On 3 December 1931, residents of Port Moresby were invited on board to examine the new ship. The Macdhui was said to be quite comfortable and was immediately popular with the public and was virtually always operating at capacity. In February 1932 Burns Philp placed advertisements in newspapers advising that the Macdhui would be doing trips from Sydney to Papua, New Guinea and Bougainville. The round trip would take approximately 34 days and cost £55 in First Class. The ship would leave on its next trip on 25 February 1932 and then 7 April 1932 and at six weekly intervals thereafter. It appears to have been fairly popular, the 30 June 1932 trip was fully booked well before its departure. Photo courtesy Don Campbellnt. Two fires broke out, the first in an oil bunker adjacent to the engine. This spread to the cargo in Hold 1. Twenty eight "whites" and 115 "natives" were ordered into the lifeboats (this was also reported as 38 whites and 150 natives) which were rowed to a safe distance from the ship. 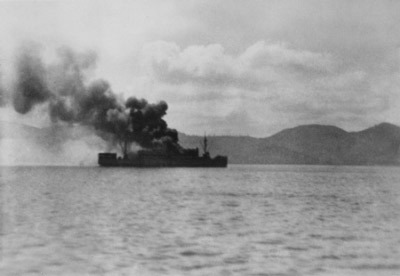 After the fire was got under control, at 5 am the "whites" were returned to the ship but the "natives" were landed at Fortification Point on the New Guinea coast. Although this fire had been extinguished, another, less serious fire, started sometime after 5 am in Hold Four (it is also reported that this was at 5 am). At 2 am on Monday 21 June 1937 the passengers were transferred to the Neptuna which had arrived on the scene. On Tuesday 22 June 1937 she towed the ship to Salamaua. A survey of the vessel was carried out and some repairs undertaken here. The ship then sailed under her own power arriving in Sydney on 9 July 1937. The Macdhui was repaired at the Cockatoo Island Dockyard, going back into service on 28 August 1937. In 1938 a new ship, the MV Bulolo joined the Macdhui on the Papua and New Guinea run. Even after the start of the Pacific War, the Macdhui continued on the run. 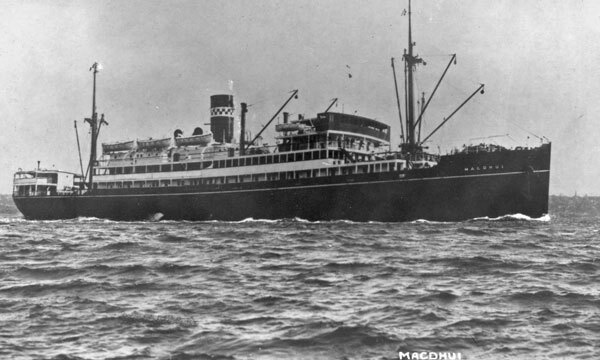 In December 1941, the Macdhui, together with Neptuna, evacuated civilians from Manila in the Philippines (and perhaps Darwin in the Northern Territory) back to Port Moresby in Papua and then went onto Rabaul in New Guinea where she evacuated women and children. By this time she had been painted grey (I have seen newsreel footage of the ship in Rabaul loading passengers for this trip). Together with the Neptuna, Katoomba and Zealandia, the Macdhui carried evacuees south to Australia. Soon after, the ship was taken over by the Australian Government for transporting troops and supplies from Australia to the New Guinea campaign. 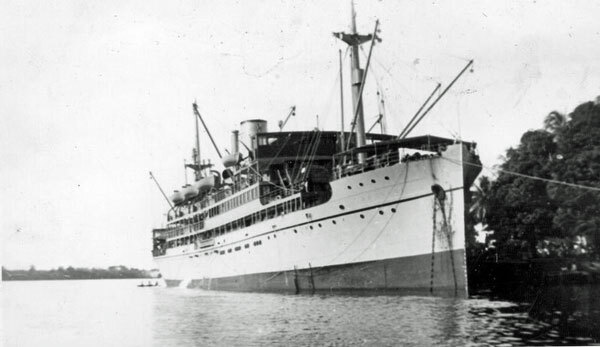 On some runs, the Macdhui only travelled as far as Townsville, taking evacuees to Australia and troops and supplies to Port Moresby. It apparently included over 400 survivors from ships sunk by German raiders near Kavieng, New Ireland. From early 1942 the Macdhui was used to move troops from Sydney to Port Moresby. 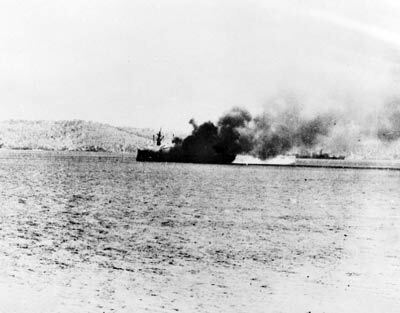 When in Port Moresby, the ship came under fire from Japanese aircraft a number of times but no damage occurred. The MV Macdhui was delayed in Sydney Harbour when the Japanese mini-submarines entered the Harbour in May 1942 and finally it sailed on 6 June 1942 for Townsville and Port Moresby under the command of Captain J. C. Campbell. On this trip it was in convoy and carrying a load of aviation fuel (I presume in 44 gallon - 200 litre - drums). Before leaving Townsville, 154 troops boarded and the ship arrived in Port Moresby at 5 pm on 15 June 1942. The MV Macdhui berthed at Port Moresby's wharf and started unloading cargo. At 6 am on 17 June 1942, the ship was moved to an anchorage in the harbour despite the cargo not being totally discharged. This was so another vessel could unload its cargo. While at anchor, the fuel was unloaded into barges and transported ashore. The air raid alarm sounded so Captain Campbell weighed anchor and attempted to evade attack from the six Japanese Mitsubishi A6M Zero-Sen Zeke fighters were seen but they did not attack the Macdhui. The all clear siren sounded. Captain Campbell returned to his anchorage and restarted unloading the cargo. In anticipation of further raids, Campbell only put out a minimum of anchor chain so that he could quickly get underway if needed. 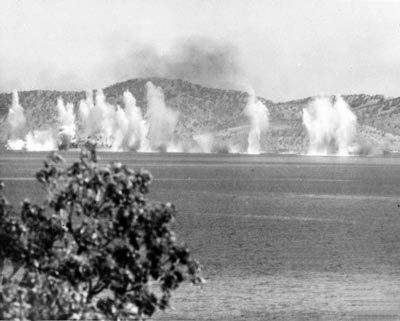 At 9:45 am the siren went off again and the 61st air raid on Port Moresby had begun. There had been 21 air raids in May so the town was now used to attacks. Captain Campbell again weighed anchor at 10:07 am and moved the Macdhui to the south-eastern entrance to the harbour, near the Paga Hill anti-aircraft battery. 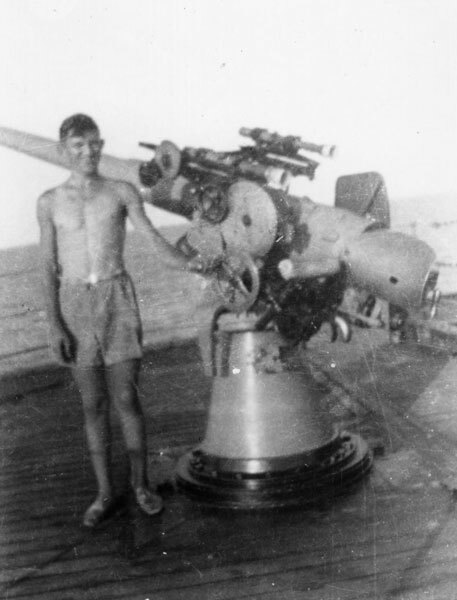 One of the crew on board the ship was Captain Campbell's nephew, Donald Campbell. He was about 20 years old. Between 10:30 am and 11 am 14 or 18 Mitsubishi G4M Betty bombers came over the town at 21,000 feet. Of the estimated 56 bombs that fell, one scored a direct hit on the bridge of the Macdhui. The bomb went right through three decks and exploded in the first aid station in the Dining Saloon, killing Dr Tunstall, two crew and a soldier. Four people were wounded. Fires broke out but these were contained within 40 minutes. Donald Campbell was one of the crew members who put out the fire in the number 3 cargo hold. 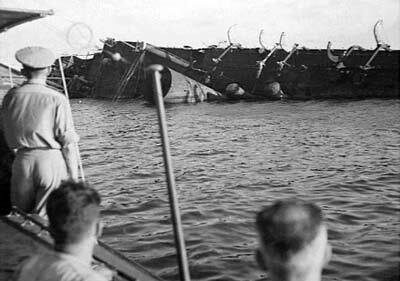 After the raid the ship was damaged but in now danger of sinking. Captain Campbell moved the ship back to the main wharf and continued unloading the cargo. As well as unloading, some work was done to fix up the ship by removing the damaged sections of ship. The next day, 18 June 1942, the Japanese bombers returned, the air raid alarm sounding at 10:05 am. 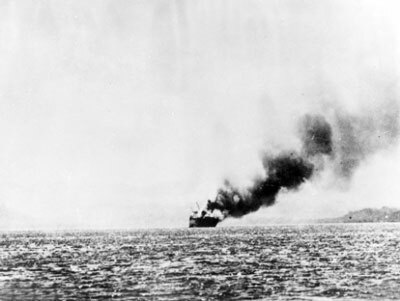 The Macdhui was back on the move but the planes were far more accurate this time, at 10:25 am 17 twin engine bombers (perhaps Betty bombers again) dropped 68 bombs of which 4 hit the ship. During the second raid, Donald Campbell was one of the men crewing a World War I gun at the stern. One of the bombs hit the poop deck, killing all but one of the gun crew. Donald Campbell was was thrown back unconscious. He was rescued by an air force launch. The bomb also made steering impossible as the equipment was severely damaged. One bomb landed in the number three hold, causing the aviation fuel to explode and start fires (this may actually have been on the first raid as above). The other direct hits were on the Bridge and Boat Deck. The explosions had damaged the water lines and this meant that the fire crews could not fight the fires. The ship was doomed, on fire and sinking. It had a heavy list to port and so Captain Campbell directed the ship towards shore, as difficult as this was with the damage to the steering gear. He gave the order to abandon ship. Although lifeboats had been launched, it is said that they began to sink "in the shark and crocodile infested waters", a vast exaggeration if I have ever read one. Crash boats from the Royal Australian Air Force Catalina base and together with other boats, the crew of the Macdhui were rescued. They were put up in Army houses for 10 days. As of November 2018, only one crew member was still alive. This was Donald Campbell who was 96 years old. The ship came to rest about 750 metres off shore and about 1.3 km south-east of Tatana Island and off Elavala village on the mainland. The ship did not completely sink, the water being too shallow, but it rolled almost completely over on her port side. 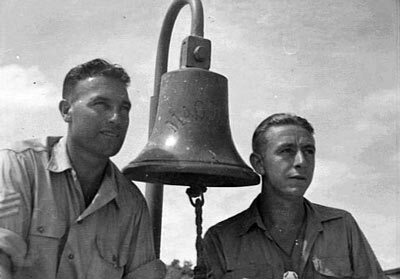 The bell of the ship was salvaged and used by the Royal Australian Air Force Marine Section and the other bell was found in 1946 by Chaplain Samuel Ramsden, RAAF, and also of St Johns Church, Port Moresby. The bell is still in use in the church today. In 1950 the bunker oil was salvaged (at least most of it). In 1971 Dave Barnet and well known Sydney wreck salvager, Barry May, purchased the rights to the wreck (or perhaps the wreck itself). They blasted the prop off and the wreck started leaking the remaining bunker oil. Dave and Barry were worried as the oil was spreading all over Port Moresby Harbour so they absconded out of PNG. It is said that Barry sold the Macdhui for $10 to a drunken Frenchman in Espiritu Santo in the New Hebrides (now Vanuatu). Dave sailed to Samari Island taking Fritz Herscheid with him. At some time one of the masts was removed and today it stands in front of the Royal Papua Yacht Club (a very nice place indeed). In 1974 oil was said to be leaking from the ship and later 10 tons of fuel oil was removed by Harry Heath and Company. Holes were cut in the hull and the fuel pumped out. As mentioned before, the wreck is in shallow water and so today the wreck is a very visible reminder of World War II and the attacks on Port Moresby. You can see the wreck from most of the main part of Port Moresby. It is located to the north-west of the yacht club, only a few minutes run by boat. The wreck lies facing the south with the whole section of boat from the bow to about midships above water. On the land side of the wreck at the bow, the water is about four metres deep and it extends to about 12 metres under the stern. After anchoring on the shallow side of the wreck, you can descend and swim over to the bow. Straight away you will see bits of tangled wreckage, parts of masts and derricks, all over the place. Swimming under the bow you will see the sky through the anchor pipe and, if the sun is in the right place, a spectacular stream of sunlight comes through onto the sand. As such, the middle of the day is probably the best time to dive the wreck. From here swim along the bottom of the hull to the north. There are some very nice anemones and clownfish along here as well as many firefish. The hull appears to be still intact. After about 10 or so minutes you will arrive at the stern. The rudder is still in place, reminding me immediately of the rudder of the MV Malabar back home in Sydney. The propeller is missing, salvaged and even the prop shaft appears to have been blown away in the attempt. From here the dive really gets interesting. You swim back along the eastern side of the wreck, along the deck. There is so much to see. The rear two holds (Holds Four and Five) can be entered, both still containing remnants of the cargo of aviation fuel. 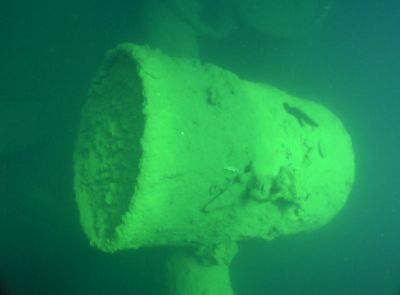 There are 200 litre drums all over the wreck, obviously full when the ship sank, as they are still intact and not squashed as they would be if they were empty and sealed. In the rear holds you can see at the bottom (of the ship) the prop shaft tunnel. I also found some 40 mm shells in these holds. From Hold Four you can enter the engine room. This is quite large and the engine itself looks very similar, if not identical, to the Malabar's engine. There are catwalks, steps, ladders and all sorts of things inside and you need to zigzag a bit to get through. You can exit from the engine room at the other end from memory. Around here the starboard hull above you is above water and you can see sunlight streaming through rust holes and portholes. It makes for a very spectacular scene and great photographs. At one point I had to back track as we came to a bulkhead with no way forward. We were, I think, at the bottom of Hold Three. Turning around we went back the way we came. We decided to go back towards the stern a bit and then returned towards the bow, this time not deep in the ship but along the Main and Upper Decks. This was very interesting as well. There is even more sunlight streaming though this section of the ship, as light comes in the windows which are above water. See the photograph on the right. The area of the Bridge and under is damaged as one would expect. Despite this, you can still explore here. Finally, we ended up in the front two holds where there are more drums. After exiting the ship, we swam out to midships on the eastern side. First thing you come across is a pontoon. All around there are hundreds of gas bottles, huge ones and very large ones. There are also two large barges (they appear to have been powered at one time). The masts and derricks lie across the sand. There is also quite good fishlife in this shallow section. This is a very interesting shipwreck, even though it is very shallow. I ended up spending over 70 minutes diving here. 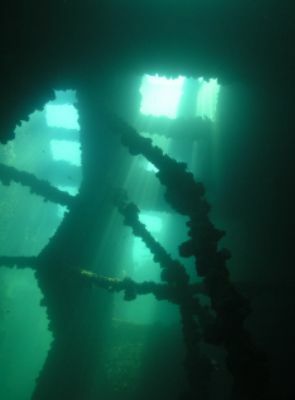 Visibility varied from about five metres at the bow to three at the stern and over 10 metres inside the wreck. Water temperature was 27.5°. A very good dive. The dive operation in Port Moresby does not dive this wreck as they have their boat based south at Bootless Bay. The only way you can dive the plane is with the Port Moresby Sub Aqua Club who may be able to take you out diving if you are visiting Port Moresby.